The recent prosecution of a wedding photographer/videographer has highlighted the need for consumers to do their research thoroughly when planning their big day to avoid disappointment. Mohammad Amir, formerly trading as Enchanted Films and Dyno Media was fined $4,500 by the Perth Magistrates Court and ordered to pay $5,650 in compensation to three consumers for supplying the promised photo and video packages either too late or not at all. He was also ordered to pay costs of $5,000 when he pleaded guilty in the Perth Magistrates Court on 11 October 2018 to four charges of breaching the Australian Consumer Law by accepting payment but failing to supply within the agreed time of three months or within a reasonable time. Charged $2,500 to cover a wedding in December 2015 but the edited video has not been supplied, only the raw video (full compensation of $2,500 awarded to consumer). So this wasn’t a great way for the couples involved to begin their married life? The newlyweds’ unfortunate experience with regard to getting their wedding photos and videos from Mr Amir has been a source of anxiety at a time when they should be celebrating their new life together. The couples were promised their photos and videos within three months so it’s totally unacceptable for them to have to wait much longer and, in one case, still waiting after three years. It’s important when engaging a photographer or videographer to agree on set timeframes before entering into a contract and don’t pay too much upfront – pay in instalments as work is done and the promised packages are supplied. Also, consider paying by credit card as there may be an option of requesting a charge back if goods are not delivered. 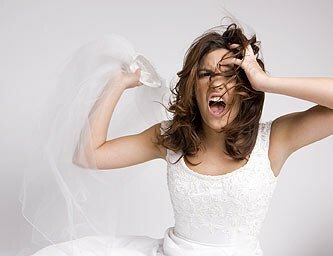 Do you get many complaints related to weddings? With the average Australian wedding costing $36,200, make sure your “I do’s” do not turn into bad memories by doing your homework on wedding suppliers before you engage them. From 1 October 2017 to 30 September 2018 Consumer Protection received 79 formal complaints and 181 enquiries in relation to weddings. We recently heard from a bride-to-be who purchased a gown from a reputable wedding store featuring French silk lace, but later found she received a dress with polyester lace. Other common complaints are with online purchases and custom designed clothing and jewellery not measuring up to claims and issues with lay-by agreements. What should consumers do when they are planning a wedding? Before engaging any services, you should get recommendations from friends and family. In the case of photographers, verify claims by asking to see previous work and speaking to past clients. Remember, a wedding is a significant life event so use a professional and insist on professional standards. Be careful when choosing someone who is operating as a paying hobby. We also recommend that you do not pay the full amount up front for these types of services, as this reduces your bargaining power should there be a delay in delivery and also takes away an incentive for the trader to complete the job on time. Consumers should get a formal written quote which sets out exactly what is included in the price of services and sets reasonable timeframes for delivery. When it comes to wedding attire, if possible, always ask for samples. Try on the style of dress or suit before you have it made and check the details of the lay-by arrangement carefully. To avoid disappointment when booking a venue, read the fine print of the contract so you are not out of pocket if you cancel or, even worse, you are aware of your rights should the venue cancel on you a few weeks before the wedding. Consumers having issues relating to the wedding industry should contact Consumer Protection by email to consumer@commerce.wa.gov.au or call 1300 30 40 54.